Do you have plans to sell your old iPhone, or rather, give it out to a family member? If your answer to these questions are yes! Then its important that you reset your iPhone before doing just that. The importance of resetting your iPhone can never be overemphasized, why? You’d ask. Your personal information should remain private, so, if you don’t want others to see your personal information, such as your social media files, your bank details, and those pictures you took, then it is important that you reset your phone before letting it out of your site. So, if you don’t know how to go about resetting your phone, well not to worry, we got you covered. In this article, we would teach you how to completely reset your old iPhone. 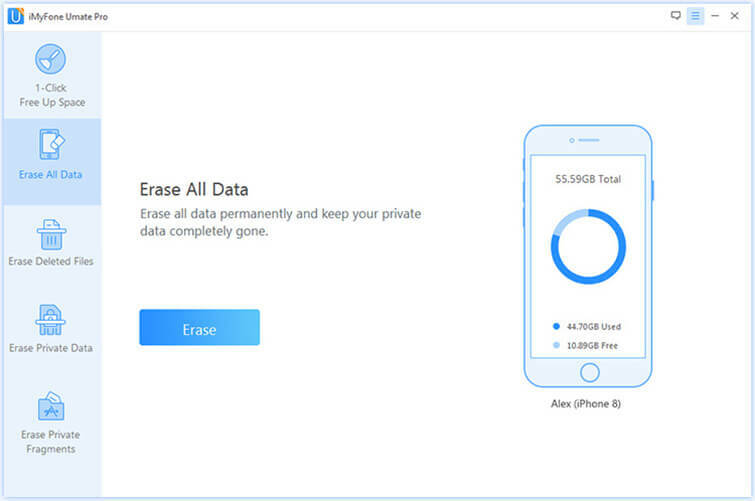 One mistake we make is thinking that just basic cleaning/erasing function with your iPhone software/settings would do the same job as permanently cleaning your confidential information, well that’s not true, with a simple factory reset, anyone can undo that and get yet your information - easy pizzy. What a complete reset does is that it completely erases all data permanently, it does that by overwriting the data, that way they become unrecoverable. If you are sure that your iPhone does not hold any valuable information to you, information that you might need in the future, then using this method to reset your old iPhone won’t be a problem. There is an easy way to go about this step, using a professional tool known as the iMyFone Umate Pro for Windows or iMyFone Umate Pro for Mac . The amazing thing about this tool is that it will help you permanently delete your private data and any other useful information with a zero chance of data breach, which of course you know might lead to privacy leakage, something that definitely won’t go down well with you. You are guaranteed to reset your old iPhone completely by erasing data unrecoverable. You get to keep your personal information safe like: messages, call logs, contacts, browsing history, notes, photos, videos, etc. 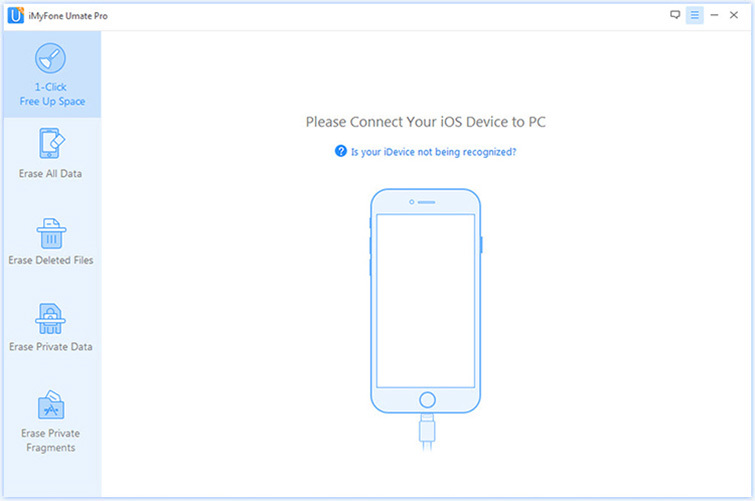 Step 1: The first thing to do is install the iMyFone Umate software, and connect it to your iPhone. Step 2: To do this, select the “Erase All Data” tab and click "Erase" and then it will start to scan the device. Step 3: Select the security level and type "delete" into the box to confirm. Step 4: After you type “delete” into the box, tap on the Erase Now. After the process finished, your old iPhone is completely reset and safe to give it away now. Do you worry that the account information, private photos, browsing history, emails, or other personal information on your mobile devices may be revealed to others? When you need to delete that file you can’t find, files that are really important to you but you just can’t find them, the iMyFone Umate comes with a mode that allows you to render these files unrecoverable. You should know that the files you deleted is still existed on your old iPhone and is recoverable. If all you want is just to make sure that those files you deleted previously is unrecoverable, then this is the mode you want to try out. Deleting incomplete private fragments can search out those private traces that are produced as a result of third-party apps. No need to worry about the safety of your private data then. There are somethings you should do before selling your old iPhone; basic things that will make sure you are only selling your iPhone and not a database where people can source for your personal information. Back up with iTunes or iCloud: If there are some files that is important and useful for you, make sure to do a full back up, that way all your data can be restored whenever you want. Sign Out from iTunes and App Store : iTunes and App Store keep all your personal data like name, address and most importantly payment information. You don’t want the next owner know any about it and use if for bad purpose. If you don’t have any professional tool help you reset your old iPhone, you should sign out manually to protect your personal privacy. 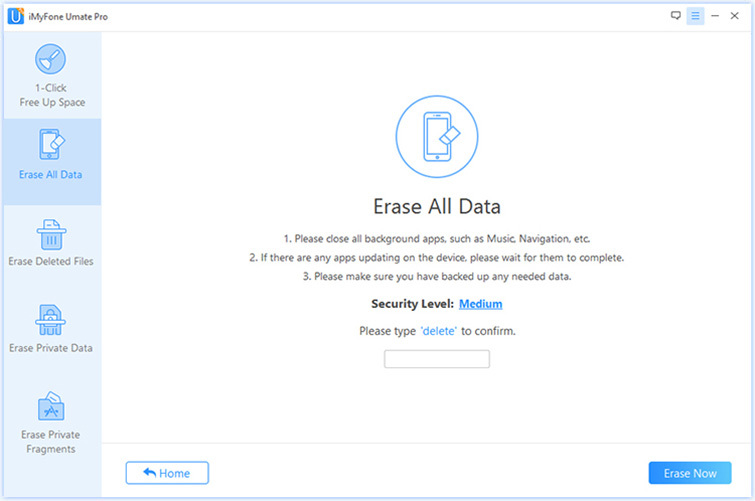 Reset Personal Data Completely: It’s important to reset your old iPhone completely to make sure your personal data keep safe and no access to wrong hands. Rather than normal reset from settings directly with chance of recovery, it’s better and safer to reset it using a professional tool to ensure everything is gone forever.